At Hockessin Chiropractic Centre, we strive to deliver lasting results to each one of our patients. By utilizing chiropractic care, we do this in the safest, most natural way possible. Delivering specific adjustments to your spine not only decreases pain and restores range of motion, but strengthens the overall function of your body. 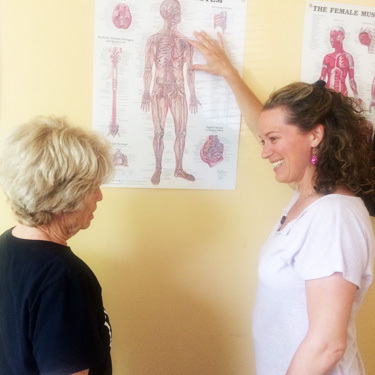 As the central nervous system is responsible for all communication in the human body, stimulating and correcting restricted areas work to improve your quality of life. Our practice offers several techniques depending on your personal needs. 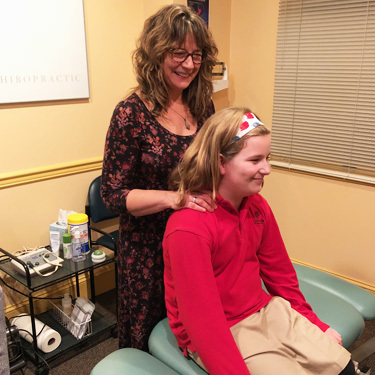 While Dr. Tobi uses Torque Release Technique and performs a series of extremity adjustments, Dr. Tamara employs a wide variety of techniques based on the individual. Torque Release Technique – This precise, quick adjustment involves pinpointing problem areas within the spinal column. Once located, a small, handheld tool is used to apply gentle pressure and relieve any interference. Diversified Technique – One of the most common adjusting methods, this technique utilizes a high velocity, low-amplitude thrust to encourage correction. Thompson Technique – This technique relies on a full spinal assessment and the use of a drop table to rectify unwanted subluxations. As the drop pieces take the load of the force, this adjustment is very gentle in nature. Activator Method – Utilizing a tool called the Activator Adjusting Instrument to deliver an easy impulse of force to the spine, this method of care restores motion to target spinal vertebra or joints. All of our chosen techniques are designed to improve function, increase mobility, decrease pain, improve sleep, and heighten your sense of well-being. Our practice offers a variety of techniques because we strongly believe in catering to the needs of each unique patient. If one adjustment method does not work for you, we will find one that is comfortable and effective. Hockessin Chiropractic Centre can provide chiropractic care that is right for you! No matter your situation, we can help! With Dr. Tobi’s expertise in Torque Release Technique and Dr. Tamara’s knowledge of various adjustment techniques, you are in good hands. Your health and comfort are our top priority.